Ten years ago, I wanted to see the new penguin exhibit at the Woodland Park Zoo. So, I traveled 3 hours by plane to see them. I was wearing a poncho and was the only person walking around. Either all the animals transferred to another zoo, or we were all cold. When my friend Emily told me she was moving there, I couldn’t believe it. My food partner who always makes me laugh was leaving, and I was devastated. But, I knew that I was going to have to try one more time. And, I’m so glad that I did. Because I found the best gluten free restaurants in Seattle. The Pink Door restaurant is hidden. You are looking for a Pink door, but it’s in the alley. If you get lost, as we did, keep looking, it’s a great find! As an Italian, I’ve tasted hundreds of antipasto plates. And, The Pink Door, makes a very memorable dish. Plus, it’s gluten-free. The Pink Door offers gluten-free pasta dishes, and they are full of flavor. If you’re looking for pasta, this is the place to try. If anybody asked me about the best gluten free restaurants in Seattle, I would remember The Pink Door. Stock was a recommendation from our tour guide, and it was the perfect meal after a wet kayaking trip. I remember Duck Pho like it was yesterday. Warm, hearty, gingery, and savory. Almost makes me want to fly 3 hours to get Pho. Want to meet me there tomorrow? I found Niche Gluten Free Cafe and Bakery on a google search before I arrived in Seattle. I was impressed that a small town had a dedicated gluten-free bakery. And, I knew that I would be safe eating ANYTHING that I wanted on the menu. I did my usual routine of ordering three meals, and I searched for the largest table. The Sweet Bacon Waffle is the best thing on the menu. It’s like dessert, but it’s labeled under breakfast so you can eat as many as you want. It’s safe to say that Niche Gluten Free Cafe And Bakery will be my first view when I look out my window seat on my next trip to Seattle. So, where can you find good gluten free restaurants in Seattle? You must visit the original Starbucks location that established in 1971. You can find it at 1912 Pike Place Seattle Washington 98101. You’ll find unique merchandise and hand pressed espresso. I found Savor Seattle Food Tours during a google search, and they had solid reviews. Our tour guide was very helpful and accommodating. And, I feel strongly that you would have a great experience. I did the Booze’ N Bites food and drinks tour. While they are not gluten-free tours, I found the tour to be enjoyable, educational and was able to consume most of the items. The tour guide and restaurants were very accommodating with my dietary needs. They offer nine different tours, and I feel confident that you will enjoy any of them. For a foodie in Seattle, these trips are a win-eat-savor. 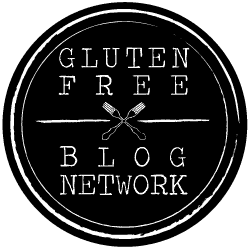 If you have a favorite gluten-free restaurant in Seattle, tell me about it! I want to know. You can send me a direct message below. To publish a comment, keep scrolling. You can find more travel posts on chewthisup.com in the travel category. 7 Lucky Gluten Free Date Night Finds on Las Vegas Blvd. Did you love this post? Check out these pins and boards on Pinterest.